As the third most common mineral in the body, potassium is responsible for supporting a wide range of bodily activities. Without sufficient potassium, the heart, brain, kidneys and muscles would not function properly. However, the Western diet’s preponderance of processed foods has created a population with a growing risk of potassium deficiency. Potassium is an electrolyte that is crucial to the body’s electrical circuitry so that proper signals are conducted to and from the brain and between cells. It works in conjunction with the minerals sodium, calcium, chloride and magnesium. 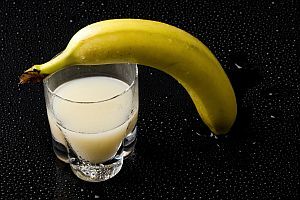 Simply moving a muscle requires potassium. Potassium helps to regulate the heart, which is triggered by potassium to contract, squeezing blood through the body a hundred thousand times each day. In addition to keeping our muscles and heart in good working condition, potassium is also responsible for healthy bone maintenance, protecting against osteoporosis, reducing high blood pressure, lowering cholesterol and helping the kidneys to filter blood. It can also reduce feelings of stress and anxiety and keeps the body’s water levels balanced. Most Americans are potassium deficient. “Relying on convenience and restaurant foods and not eating enough fruits and vegetables is why so many people don’t get enough potassium. Fresh and lightly processed foods, including dairy and meat, have the most potassium,” according to registered dietitian, Marla Heller. An excess of sodium in the diet (which is common among Americans) can increase the amount of potassium you need. Others at risk of potassium deficiency (hypokalemia) are those who experience diarrhea, vomiting, malabsorption syndromes (such as Crohn’s disease) and excessive sweating. Alcoholics, smokers, drug users, athletes (or anyone who uses their muscles excessively), and those who use diuretics are also prone to hypokalemia. Symptoms include irregular heartbeat, muscle cramps, irritability, chronic diarrhea, weakness and stomach problems. Food sources abundant in potassium are meat, poultry, fish (cod, salmon, and flounder), dairy products, legumes and fruits and vegetables (particularly bananas, citrus, avocados, tomatoes, potatoes and green leafy vegetables such as Swiss chard). Cooking destroys potassium, so try to eat potassium-rich foods either raw or minimally cooked (lightly steamed or roasted).